Raspberry Ketones Complex- #1 Rated Formula! 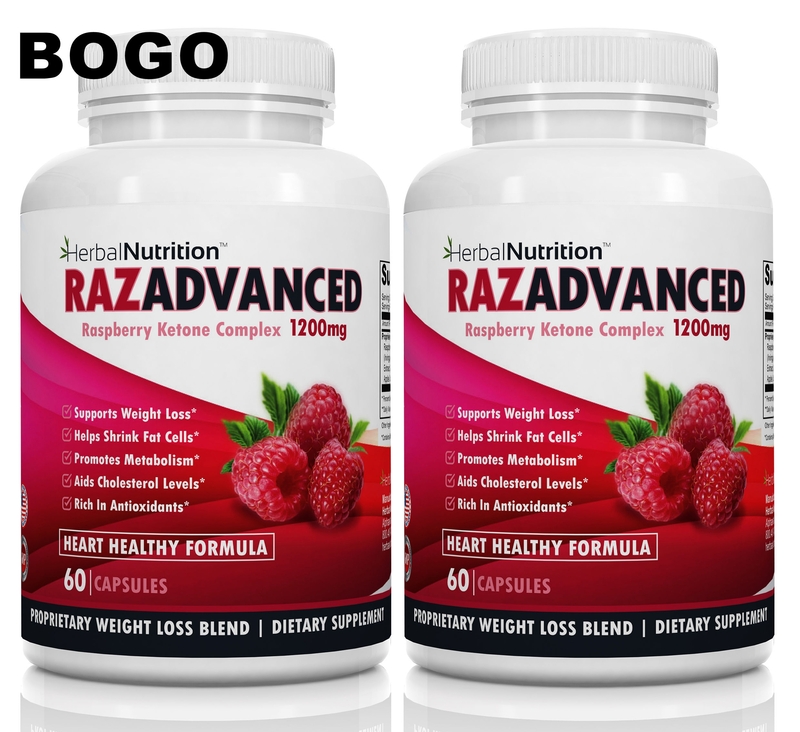 #1 Rated Raspberry Ketones Complex | Two Bottle Pack | 60 Count | 1200mg Per Serving | All Natural Veggie Caps | Promote Weight Loss* & Suppresses Appetite* | Contains Super Antioxidant* | Free Shipping! 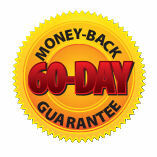 |100% Quality Guaranteed! PURE RASPBERRY KETONES COMPLEX - 1200mg of proprietary weight loss formula per serving! A multi-ingredient weight loss supplement including Raspberry Ketones and African Mango Extract, two of the most popular weight loss supplements today. But there is more, 8 ingredients working synergistically to support your diet and weight loss program! Including: Green Tea Extract, Caffeine Anhydrous, Apple Cider Vinegar, Kelp and Grapefruit. ALL NATURAL - Our all natural ingredients are combined in a safe WEIGHT LOSS Formula that ranks among the BEST FORMULAS available to add to your Weight Loss Management Program. RazAdvanced will help achieve your health, nutrition, and fitness goals. Our formula contains SUPER ANTIOXIDANTS - studies have shown several of our ingredients contain high levels of antioxidants, helping to improve immune system function and protect against free radicals and the damage they cause*. A MULTI-THREAT DIET COMPLEX - Our formula supports healthy Metabolism, Appetite Control and Weight Loss*. Our ingredients help promote lipolysis in the body which helps burns fat. Our complex is Safe, Non-Stimulating, No Side Effects, No Jitters. 100% U.S. manufactured by an FDA certified GMP manufacturer, and we guarantee your satisfaction or your money back! YOU CAN TRUST THE HERBAL NUTRITION BRAND! Our goal is to help people improve the quality of their lives, by providing nutritional supplements that will benefit their health and athletic performance. We developed the Herbal Nutrition Brand to deliver only the highest quality supplements and have helped thousands of people achieve their goals for more than a decade! Herbal Nutrition Quality 100% Guaranteed! Sounds too good to be true? That’s what a nationally recognized television doctor thought – at first. When explaining this miracle fat burner to his studio audience, he revealed, “I never understood how powerful it could be,” but once he saw actual patients who lost weight with the help of the supplement, he was convinced. 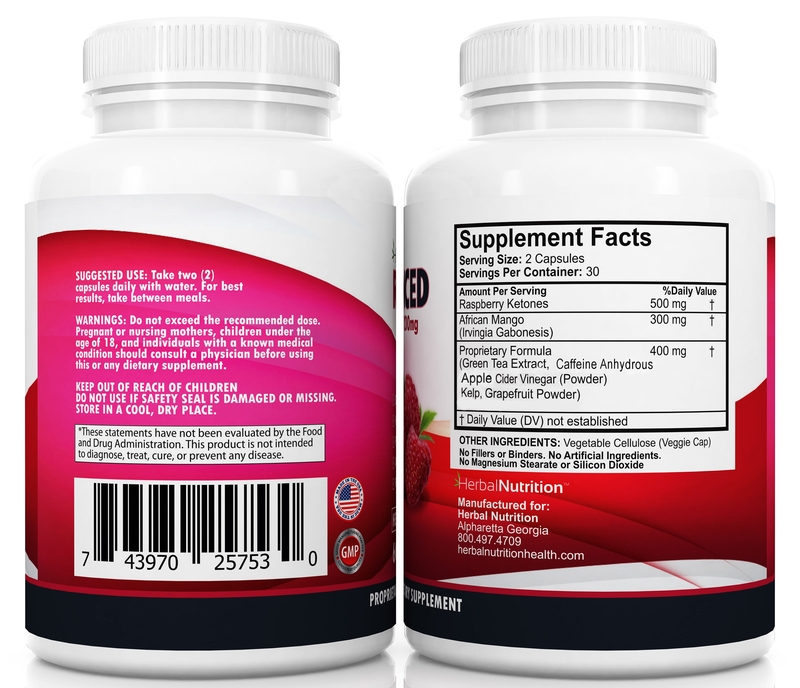 Raspberry Ketone is a natural substance that gives red raspberries their powerful aroma. This substance is also found in small amounts in blackberries, cranberries and kiwis. It has a long history of use in cosmetics and has been added to soft drinks, ice cream and other processed foods as a flavorant. Actually… most people are already eating small amounts of raspberry ketones, either from the fruits themselves or because of their popularity as a flavorant. Only recently did they became popular as a weight loss supplement. 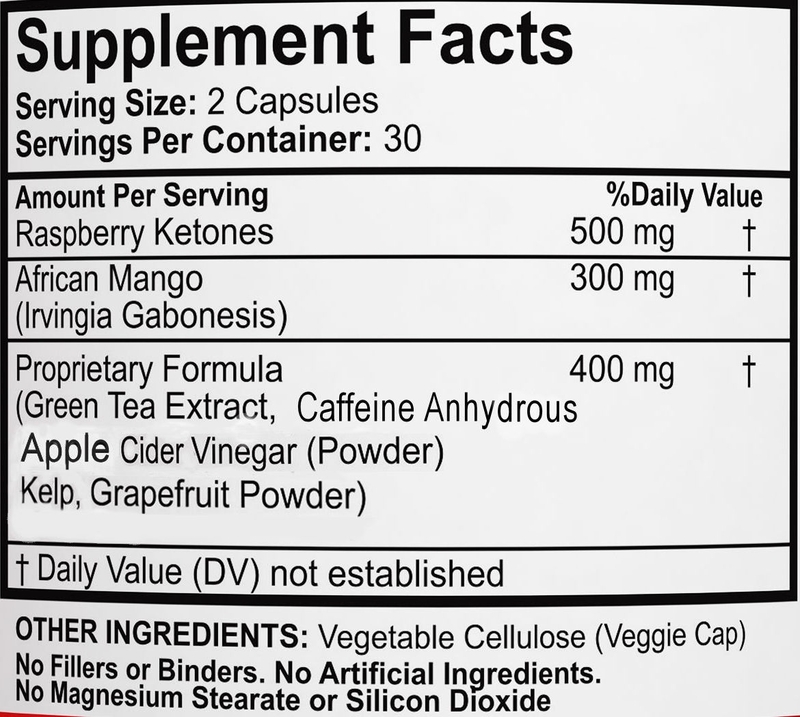 Using a raspberry ketones supplement gives your body a greater amount of bio-available ketone bodies. This elevated level of ketones is known as a state of ketosis. Your body is basically fueled on ketones rather than glucose. It is forced to burn fat rather than carbohydrates. Raspberry ketones studies also suggest that these ketones can increase the production of adiponectin. Adiponectin is a hormone that is released by fat cells and is believed to play a role in regulating metabolism and blood sugar levels. Thin people have much higher levels of adiponectin than people who are overweight, and the levels of the hormone increase when people lose weight. Studies have shown that people with low adiponectin levels are at a higher risk of obesity, Type 2 diabetes, fatty liver and even heart disease. Therefore, it stands to reason that raising adiponectin levels with natural means could help people lose weight and lower the risk of many diseases. This means that ketones are not only an alternative source of energy and fuel whenever blood-glucose concentrations are inadequate – even for the brain – but ketones can also increase the body’s ability to use fats for fuel when a large amount is present in the body and bloodstream. The late Doctor Atkins used a high-fat, low-carb, and high-protein ketogenic diet to shift the body’s primary energy source from glucose to fatty acids and ketones to melt off excess fat. The Atkins Diet had many critics because it was far from healthy. It involved eating excessive amounts of saturated animal fats. But many people still experienced results and lost a considerable amount of weight. Raspberry ketones use elements of that same science but in an all-natural way. With a healthy fruit supplement with no cholesterol, or excessive fatty food consumption. It means Raspberry Ketones are able to increase your metabolism, and accelerate your fat loss. Raspberry Ketones are not a miraculous cure-all but a helpful addition to a healthy diet and exercise program. While the Raspberry Ketones help increase your fat metabolism, you will see an increase in your natural energy level, which will actually help you with your workouts, so the Ketones are doing double duty! The Raspberry Ketones are an excellent partner for any diet or exercise program. The only studies done to prove the efficacy of Raspberry Ketones have been done with animals. Because they haven’t been studied in humans, there is no data about potential side effects. However, as a food additive, raspberry ketones are categorized as “Generally Recognized as Safe” (GRAS) by the FDA. 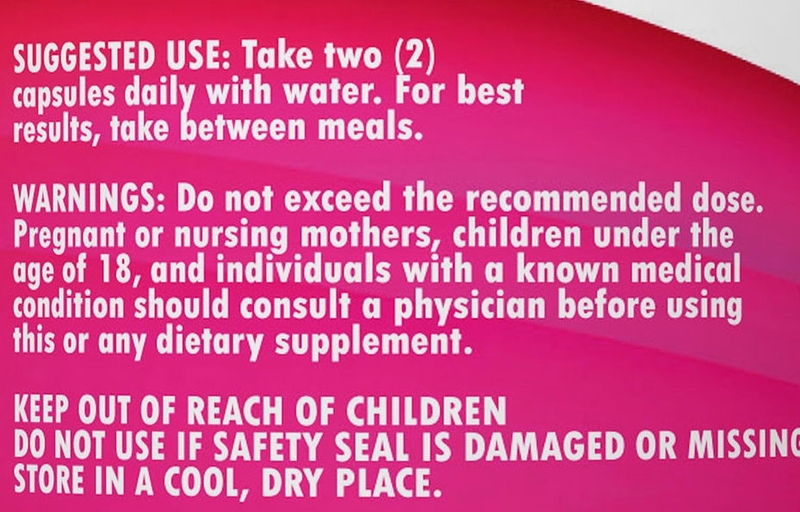 As with all supplements, especially if you are pregnant or breast feeding, have a medical condition or concern, always check with your physician before taking this product! Take two capsules daily with water. For best results, take between meals. Do not use if the safety seal is damaged or missing. Store at room temperature. Keep out of the reach of children. Do not exceed the recommended dosage. Not intended for use by person under the age of 18. If you are pregnant or nursing, have any medical condition, or are taking any medication, consult with a medical professional prior to use. Yes , keystone showed me good results when I took the supplements daily and committed to some type of exercise. Yes , keystone did work for me without sick jittery, antsy feeling. This has been a great addition to my diet. I have been taking this and exercising and losing a few lbs. a month for 3 months now. I does give me energy and I also like the heart benefits of this product. This has helped me lose weight and I feel better, give me a little energy boost and I like the antioxidants you get with these. This product gave me the boost I needed to lose the weight I wanted. I have hit my target weight and now in maintenance mode. I am taking only one capsule per day now. I needed to lose some baby weight so I thought I'd try these again. I used a different brand before I had kids and they worked good. These work great. I don't get jittery. I started with one a day for a couple days then went to 2 a day but I don't take them after 1pm so I can sleep. I already lost a couple pounds and have only been taking them about 10 days. This is the only diet supplement that has worked for me. I have lost almost 10lbs. I can tell it revs my metabolism without getting the jitters. Good product, I take this with Green Coffee Bean and have lost 8lbs over last 90 days. I have been taking this for the last six months and lost 15lbs. I also been working out but seems to be a good assist in my diet.